Cavalier's Alex Marshall was among the goalscorers. 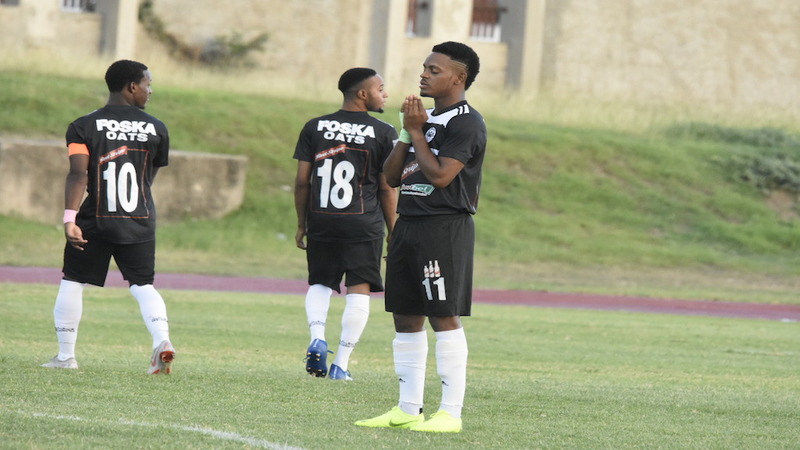 Cavalier defeated Arnett Gardens 3-0 on Sunday at the Anthony Spaulding Sports Complex in their first-leg Red Stripe Premier League quarter-finals clash. 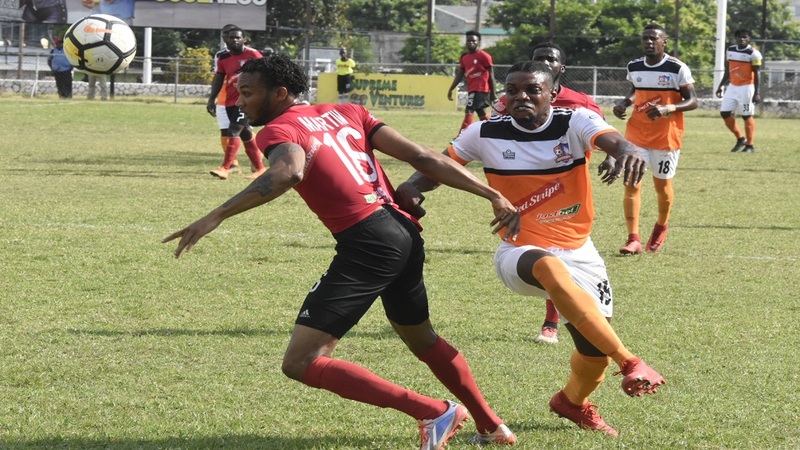 Midfield captain Chevon Marsh scored in the 15th minute and forward Alex Marshall scored in the 76th before Nicholas Hamilton added another goal late to put Cavalier in a commanding position against Arnett which were reduced to 10 men in the 27th minute. Goalkeeper Mikhail Harrison was sent off by referee Oshan Nation for using a Jamaican curse word after being challenged in a play. The victory maintained Cavalier's dominance over Arnett so far this season, after defeating the 'Junglist' twice in the preliminary round while drawing once. 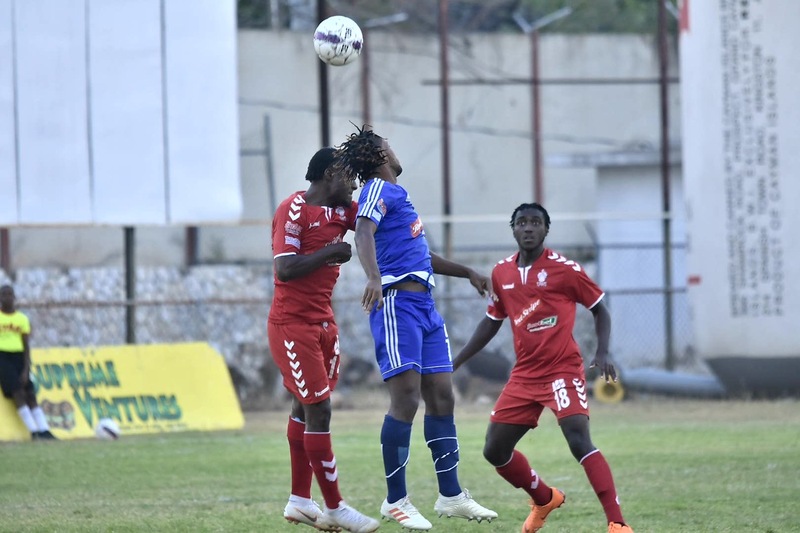 They must now recover for the second leg which will be played next week Sunday as they battle for a place in the semi-finals, where Portmore United and Waterhouse await the winners of the two quarter-finals clash. 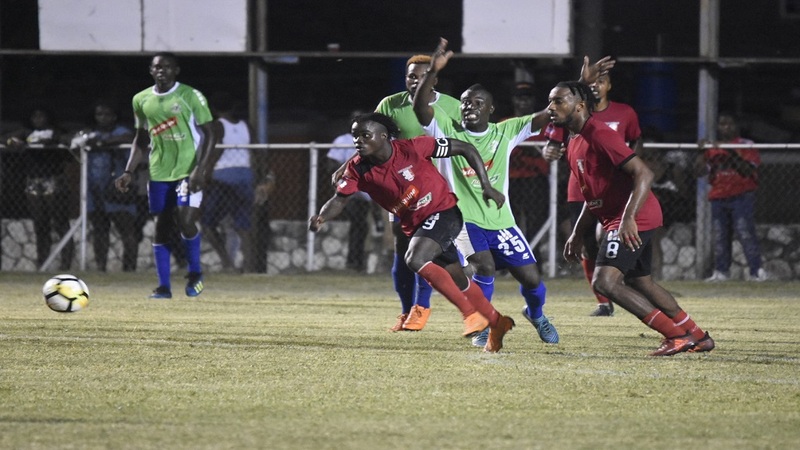 Portmore and Waterhouse qualify automatically for the semi-finals by virtue of being the two top teams in the points standing at the end of the preliminary round, which was won by Portmore. The next four teams in the point standings play in the quarter-finals to meet them, with third-placed Mount Pleasant taking on sixth-placed UWI and fourth-placed Cavalier playing fifth-placed Arnett Gardens. Mount Pleasant and UWI played to a 2-2 draw in the first-quarter-finals on Sunday at the same venue. In the second encounter, Cavalier withstood an early thrust by host Arnett Gardens before settling and scoring when Marsh capitalised on a defensive error and sneaked in to fire past goalkeeper Harrison. With the game fairly even afterwards, the huge crowd at Anthony Spaulding Sports Complex was stunned further after goalkeeper Harrison was challenged for a ball by Kamoy Simpson. Nation blew for a foul on the custodian, who then rushed towards the official and uttered a Jamaican curse word, which resulted in Nation giving him a red card. After a lengthy discussion at the bench, assistant coach Eugene Barnes, filling in for coach Jerome Waite, who was away on national duties with the Reggae Boyz, pulled attacking force Michaelos Martin to put in substitute goalkeeper Damion Hyatt. The personnel shortage failed to affect Arnett's standard as they applied pressure to Cavalier in the early stages of the second half with action around the 18-yard box while getting goalkeeper Mark Bryan involved a number of times. The best chance of the half, however, went to Marsh. During a breakaway, Cavalier attacked in numbers before the ball was played from the flank into the middle to Marsh, unmarked midway the Arnett Gardens half. Marsh dribbled to the fringes of the box and with goalkeeper Hyatt advancing, he fired straight at the custodian, who dived low to divert the shot. Cavalier, however, went further ahead, when Marshall converted from the top of the penalty area, after picking up a clearance. It was the end result of a number of shots inside the area that the Arnett defence had blocked but failed to make a proper clearance. While some members of the crowd began leaving the venue, Cavalier further cleared the stands when Hamilton scored from another counter attack on the left with Marsh providing him with a lovely through ball and he lobbed goalkeeper Hyatt to end Arnett's miserable night.